Republican Gov. Scott Walker and Democratic challenger Tony Evers traded polite barbs over transportation, taxes and health care Friday night, bringing some of the same themes from their TV ad war to a debate stage in Madison. But the two gubernatorial candidates also covered less familiar ground, weighing in on whether the state should legalize marijuana, criminalize a first drunken driving offense and offer driver’s licenses to immigrants living in the country illegally. 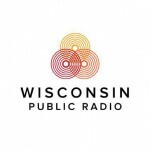 The first gubernatorial debate, hosted by the Wisconsin Broadcasters Association, also gave both candidates a chance to trade one-liners over attacks that were in the news this week, one involving former Walker cabinet secretaries and another involving a case of plagiarism at Evers’ state Department of Public Instruction. Walker was asked immediately about four former cabinet secretaries who’ve publicly criticized him during the campaign, including most recently this week. Former Wisconsin Economic Development Corp. CEO Paul Jadin wrote a letter with former Financial Services Secretary Peter Bildsten and former Corrections Secretary Ed Wall criticizing Walker, saying he had put his political ambitions ahead of the state. A fourth former Walker cabinet head, former Transportation Secretary Mark Gottlieb, has also been critical of Walker for mischaracterizing road funding issues. During the debate, Walker was asked how the charges affect his credibility. The very next question involved a story first reported by Politico about four plagiarized passages in a budget document released by the DPI, which Evers leads. “I don’t know of a teacher out there that would allow a student to hand in a term paper that plagiarized major portions of a document without attributing it,” Walker said. Ever called it a mistake not to cite the passages, but he said he’d talked to the people involved, and it was fixed. He later came back to the theme when talking about Walker’s latest education budget, which Evers has praised. “My definition of plagiarism is when Scott Walker takes my budget and calls it his own,” Evers said. Both candidates were asked about polling that shows a significant number of Wisconsin residents are concerned about the quality of their roads and bridges. Walker disputed that, slicing numbers from the most recent Marquette University Law School poll another way. “Only 30 percent actually think they’re poor,” Walker said. Indeed, the latest Marquette poll found 30 percent think Wisconsin road conditions are poor, while 34 percent said they’re fair, 30 percent think they’re good and just 6 percent think they’re excellent. When it came to how they’d fund roads, Walker attacked Evers for saying everything should be on the table to pay for transportation without specifying a number. Evers has said flatly he won’t support a dollar-per-gallon increase in the gas tax. He repeated that again Friday. Evers said he would work with Republicans and Democrats to come up with a long-term solution to transportation funding. He didn’t specify any particulars. The candidates were asked whether the state should drop out of a lawsuit Walker approved that seeks to overturn the Affordable Care Act, including its protections for people with pre-existing conditions. They were also asked how they can guarantee the state will provide affordable coverage for preexisting conditions if the ACA goes away. Walker supports a state bill that would require coverage for people with pre-existing conditions, although that legislation would let insurance companies impose lifetime limits on coverage, something they can’t do under the ACA. The candidates were asked their thoughts on the legalization of marijuana, an issue voters in several counties will weigh in on through advisory referendums next month. “I’m willing to take a look at those referenda and possibly support legalization,” Evers said. Walker said he would listen to public health officials and law enforcement. Wisconsin is the only state in the nation where a first operating-while-intoxicated arrest isn’t a crime. Evers said he was open to changing that. Walker focused on repeat drunken drivers in his answer. “We need to make it a taboo for anyone to be driving under the influence,” Walker said. On two questions about immigration, Evers said he was open to changing state laws to accommodate immigrants while Walker said he wasn’t. Specifically, both candidates were asked whether they would support a state driver’s license for immigrants living in the country illegally. Walker said it wasn’t state government’s call to make. Evers also said yes when asked whether he would support in-state tuition for DACA students, or students who were brought into the United States illegally as children. On this issue, Walker also referenced the need for federal changes. “We’ve got to make sure folks in Washington change the laws so we can adjust things going forward,” Walker said. Walker was asked twice more for a “yes” or “no” answer about whether DACA students should be entitled to in-state tuition as they are in other states. He said the state couldn’t do it because of federal law. 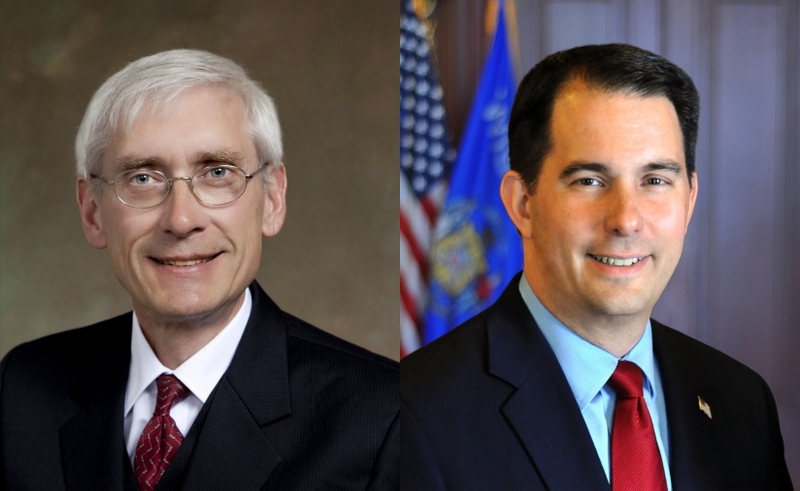 Walker and Evers will debate next Friday at Marquette University. Walker, Evers Talk Taxes, Health Care, Immigration At First Debate was originally published by Wisconsin Public Radio. Walker hit Burke hard with a plagiarism charge in the 2014 election. What Burke’s “jobs plan” writer had done was repeat what he had written previously for another candidate. It is not plagiarism when you quote yourself without attribution. Nevertheless, Burke suffered from nasty ads showing her awkward responses to the charge. Burke should have paid more attention to what one of her writers wrote. Evers should have paid more attention to what one of his writers wrote. The Evers response to an apparent “go-to charge” by Walker was clever. His accusing Walker of plagiarizing his ldeas shows that Evers knows more than Walker about issues such as plagiarism. Campaign literature is boiler-plate stuff by nature. Academics do not bother with it. Plagiarism is an important matter at the college level, but Walker did not distinguish himself at that level.